Thank you for your interest in our graduate program. Each year the program attracts many applications from all over the world. Please read the guidelines on application posted at this web page carefully. Thank you for your interest in our graduate program. Applications can be accessed through the Graduate School’s website. Ph.D. applicants by February 1 be considered for financial aid (financial aid is only available for Ph.D. applicants), otherwise by April 1 for fall admission. STAT MS applicants by April 1 for fall admission. BIOSTAT MS applicants by April 1 for fall admission and October 1 for spring admission. For special consideration after the deadlines please contact tracy.burke@uconn.edu. We have two MS programs. The traditional MS in Statistics and in 2015 we established a Professional MS in Biostatistics. 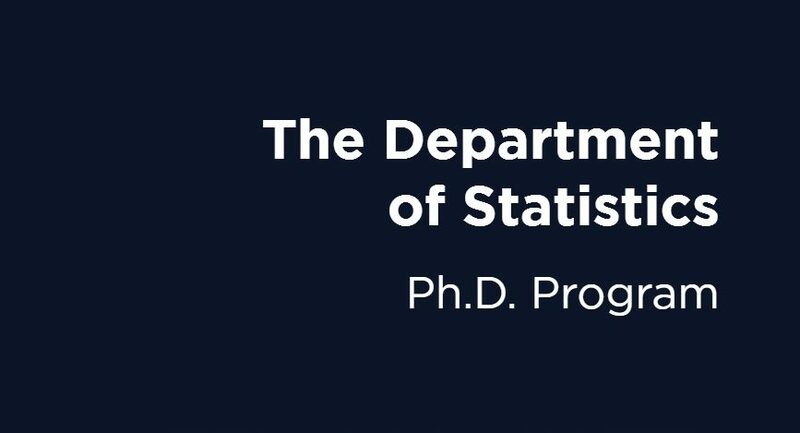 This program is oriented to applied statistics in health and pharmaceutical sciences with a strong emphasis on computing and data science. Because of the rapid growth in the healthcare industry, we believe that rigorous biostatistics training will give our graduates a competitive advantage on the job market. 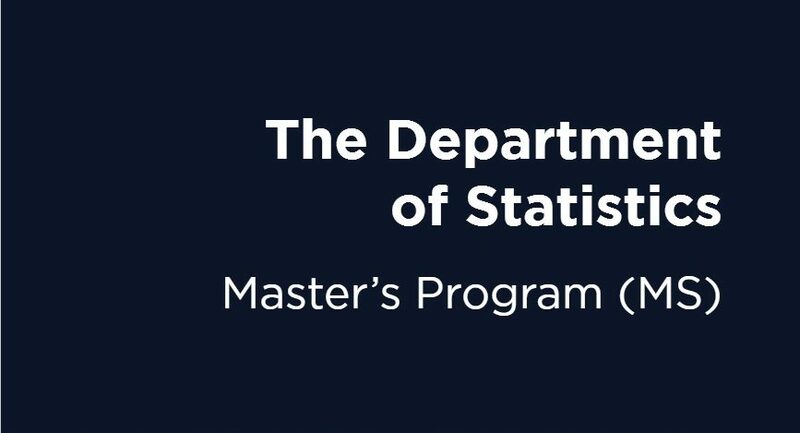 As in our traditional MS program, the Professional MS program in Biostatistics gives a solid foundation in theory and methods of statistics, so you also will be able to find a job outside the healthcare industry, or to continue your study as a PhD candidate. 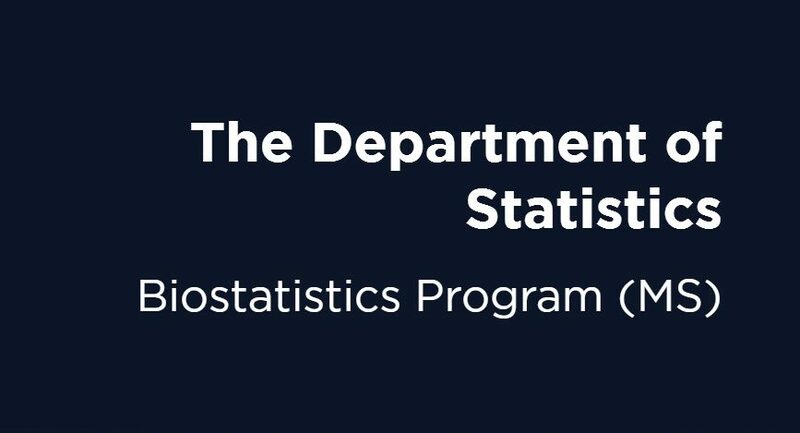 Please take a look at the information of the two programs posted at http://stat.uconn.edu/m-s-in-statistics/ and http://stat.uconn.edu/m-s-in-biostatistics/. There is no difference in tuition structure between two programs. Most of our students come from undergraduate Mathematics or Statistics majors. Persons with degrees in fields other than Statistics and Mathematics are encouraged to apply. Two semesters of undergraduate statistics. Course work to remedy deficiencies can be taken while in the program. Taken within 5 years with a verbal score above the median and a quantitative score ranked in the top twenty five percent for financial support. 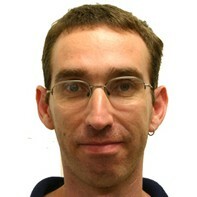 For more information, go to the official GRE website at www.ets.org/gre. Receiving minimum scores of 79 (Internet-based test – iBT) or 550 (Old Paper-based test – PBT) or 22/30 on each of the Listening, Reading and Writing sections (“New” Paper-based test-PBT) or higher on the TOEFL test. Receiving a score of 6.5 on the IELTS test. Qualifying for a Score Waiver.pdf (please click on link to review policy). If you are not a native speaker of English, and you plan to obtain a teaching assistantship (PhD. Applicants), you must satisfy UConn’s English Proficiency Policy before being allowed to instruct a class. For more information, please contact International Teaching Assistant Services. Please note GRE and TOEFL scores will only be accepted when sent electronically through ETS. The TOEFL and GRE code for UConn Storrs is 3915. You must submit all applicable, official transcripts (undergraduate & graduate). Letters of Recommendation: Three letters of recommendation should accompany each application. Students should request letters from teachers who know them well, preferably from their last two years of coursework. Personal Statement: A letter describing your career goals. The Graduate School offers fellowships for matriculating graduate students. Additional information is available on the Graduate School website.